Digital marketer and translator, Elyssa spends her time putting NPD and engineering concepts into plain english and working on new and meaningful ways to connect with Playbook's amazing clients. We had a chance to talk to Robert Pendergrass, Engineering Manager, about SensorLink's experience with Playbook. When SensorLink requested a free trial of Playbook, they expected “just a download." Instead, they received training on Lean and Agile methods and Playbook software from the Playbook Customer Success Team. The Customer Success Team also worked with the SensorLink project team to enter their project plans in Playbook, and coached them on effective standup meetings. So while the team was being trained on Playbook, they were also engaged in productive work on a live project. 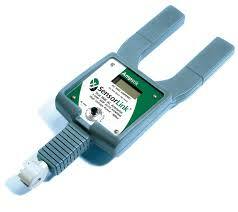 SensorLink researched many Lean and Agile tools and narrowed it down to the best two. As most of the other Lean/Agile tools were designed for software development, SensorLink felt Playbook was the best solution for the unique issues hardware developers face. For example, Playbook was better equipped to deal with non-work-task resource availability issues, such as procurement delays for parts. SensorLink had the right team in place, they just needed the right tool to support them. "We had a great team with a diverse set of skills and just as diverse approaches to product development. The fact that SensorLink was up and running in two weeks with Playbook was phenomenal and speaks well of the company and the product. The team and I couldn't be more pleased with the outcome and its impact on our hardware development process. It's been a truly positive experience all around -- from training to implementation." Pendergrass commented that an additional benefit of the free trial was a smoother transition for team members coming from a more traditional project management background. That is, the training and coaching were very helpful in encouraging a culture shift where it was needed. What's the number one cause of project delays? It's not what you think. Watch this 9 minute video to find out.